Team Solomid once again proved themselves to be the playoff princes of the NA LCS this early morning in Taiwan, and it's starting to become something of a tradition. Struggle early, win the region's title anyhow—a legacy of clutch plays across multiple rosters that seems almost inevitable so long as they're performing within the confines of the continental USA. Outside, not so much. In fact, TSM's only the latest team to join the confirmed list of Worlds-qualified regional representatives. And thus far, the field is already full of surprises. Flash Wolves and ahq E-Sports Club being the second and first seeds, respectively, for the diminutive Taiwanese region isn't exactly surprising. But there was about a half-month period where it seemed as if the world was getting to have Kurtis "Toyz" Lau come out of the cold at last to reclaim his mid lane crown. The Season 2 world champion's new team in Hong Kong Esports ripped straight through the summer playoffs—not bad for a team bereaved by their star AD carry's sudden banishment amid Elo-boosting allegations, and almost reminiscent of ahq's miracle run back in spring. Except, of course, that it was ahq in the grand finals, and Hong Kong Esports fell short in a white-knuckled 0-3 defeat—though for a 3-loss streak, it was impressive how close they managed to make it. 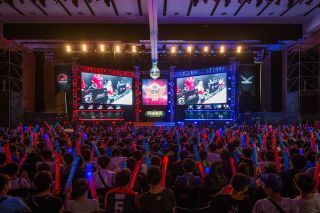 Sadly, they couldn't keep it up: they exhausted themselves in a full-fledged best-of-five set against Taipei Assassins in the regional playoffs, themselves suffering the loss of Singaporean mid laner Xing Lei "Chawy" Wong to the same ban allegations. Then HKE found themselves firing on empty against the Flash Wolves. Though Toyz and company managed to pull out a decisive round-one win, the Wolves' better overall form snapped shut any hopes of a return to the world stage. In the face of Toyz's announced retirement, that might be the last we'll see of the former 2012 world champions. Bebe certainly isn't cutting it with the Assassin Snipers, hogging the last place slot in the LoL Master Series. Then again, this isn't the first time that Toyz's retired either—and maybe, if fortune smiles upon Taiwan's successes on the world stage, his hunger'll get revitalized too. After all, unlike last year (or the year before), Taiwan's been making splashes. It's been the recipient of a stroke of good fortune—the almost literally impoverished esports region might not have the funding, sponsors, or attention of their richer northerly neighbors, scraping together what they can from local players and Korea's B- and C-tier talents, but they're just barely good enough to justify scrim time with their Chinese and Korean counterparts. Sure, China gets Kakao, Flame, Pawn and everybody else—including Samsung White's coaches and staff. But there's a reason why Taiwan went from last-place trash to beating up western teams at MSI: we get to borrow China's notes. We might not get to have world-class infrastructure, but we'll take that infrastructure's intellectual products. And with it, the chance for yet another legendary upset—one to eclipse 2012. What the heck do you mean EDG isn't qualified for LPL's first seed?! What do you mean they didn't even make it to the finals?! I haven't written extensively about Chinese League of Legends, because Kelsey Moser over at TheScore does it better than I do, so to catch up quickly: EDG is—or was—the demon prince of the Chinese circuit. Depending on whether Faker feels like hard-carrying on a week to week basis, they were even considered the number one team in the entire world over the course of the season. For them to fall so short was way outside of anybody's expectations—and a terrible nightmare for everybody else's first seeds, whomever that may be after the conclusion of their respective playoffs and regionals. It's a ticking time bomb, just waiting to explode. Can Fnatic handle EDG? Heck, can SKT T1 and Faker? They failed to do so back at MSI—and even as everybody else's gotten more refined in the intervening months, the shadow of China's first international victory since IPL 5 still lurks at the back of their thoughts. It's most worrying for SKT T1, because as dominant as they've been all season, their surprising loss late into the SBENU Champions Summer split brings unwanted scrutiny to how strong they actually are—and by extension, the rest of the Korean competitive circuit. Even domestically, they have notable weaknesses: even as their individual play is solid (especially, of course, Faker's), their coordination isn't quite as on-par with some of their peers. And that isn't an issue for EDG. If SKT T1 secures the first seed berth for Worlds, only to find EDG lurking in their group, it is entirely possible for Korea's best team to find itself stumbling out of the gates. Of course, if EDG lands on Fnatic's doorsteps instead, the west is just plain screwed. With their complete dismantling of the Unicorns of Love, Fnatic seems set on taking a completely undefeated split—just one more best-of-five at the EU LCS grand finals to go 24-0! ...but it wasn't entirely easy, even against the Unicorns. They have a bad habit of falling behind early, taking ganks and dropping turrets before catching their European rivals by surprise in a flurry of counter-attacks and skirmishes. All of which had depended on lapses in pressure and a stronger understanding of mid-game dynamics than their rivals, which hasn't been a problem for their eventual Asian opponents. Solomid's not in comparatively good graces. Yes, their playoffs versus Team Liquid were successful, pitting them in a legendary confrontation against Counter Logic Gaming—a rivalry as old as League of Legends esports. But even as they once again proved themselves playoff kings, it also exposed a lot of continued weaknesses with TSM. The fact that Wildturtle can be as far as 50 CS behind his counterpart and still be relevant in fights says more—a distressingly LOT more—about Team Liquid's state of play than it does about TSM's bot laner's capabilities. Same with Dyrus versus Quas—ill omens for when he faces off against LGD's Flame or ahq's Ziv. And if not them, who else? The rest of North American League of Legends have similar coordination issues. While the rest of the regions, especially in the eastern hemisphere, have stepped it up since MSI, it sometimes seems as if North America's struggling to figure out how to play at all. While the pan-Asian scrim system is incubating a slew of new threats—successful hybridizations of last year's stars and monsters—the western teams are stuck with the same folks that failed to make the scratch last time. But, heck, maybe it isn't so dire. Maybe those IEM results earlier this year—the first American victory since forever and a day—weren't just a random fluke. A region can only hope.